We are distributors all types of grills. 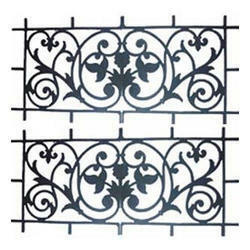 Superior quality stone carved grillshich are found in various customized designs and styles. These are considered as some of the finest in production for their excellent designs and high durability. These designer grills are effectively used as the means of security as well as ornamental pieces that enhance and reflect the beauty of the home decorations.